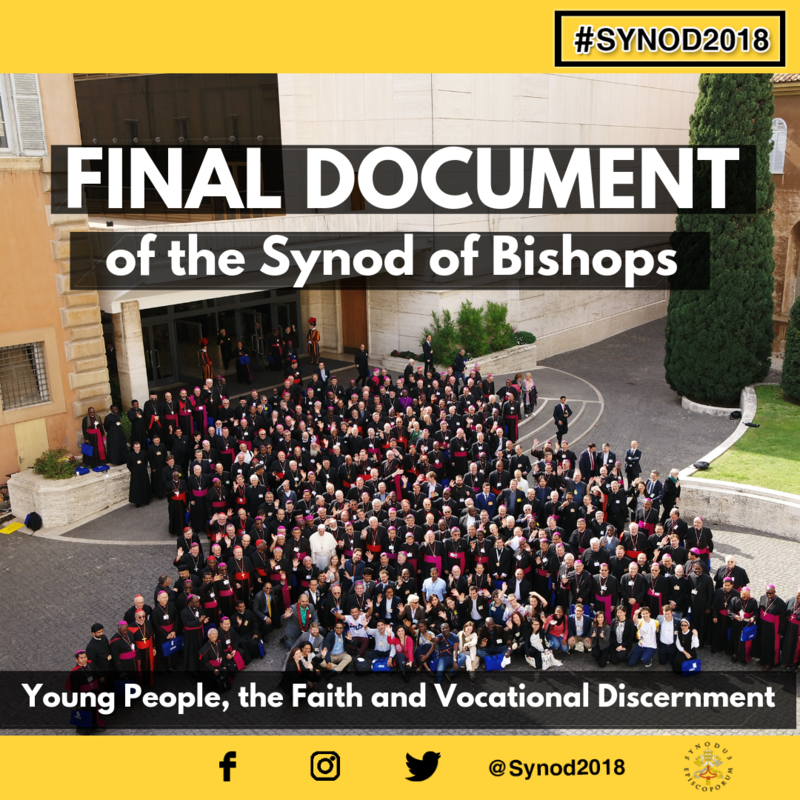 The Synod of Bishops released an English translation of the final document of the 2018 session on young people, faith, and vocational discernment. The document encourages young people to seek an authentic encounter with God, instead of adopting a morally relativistic outlook on life. The synod met for more than three weeks in October for its fifteenth ordinary general session, and published the original text of its conclusions on 27 October 2018. The document was released in English by the General Secretariat of the Synod of Bishops on Thursday. During the meeting, synod fathers were joined in Rome by young people and religious from around the world who participated in the session as auditors.